Most mammals naturally sleep during the nighttime hours. When the sun goes down, and night approaches, the darkness signals our brains that it is time to sleep. Our eyes are sensitive to light. If your sleeping environment has too much light, the brightness will tell your brain that it is still daytime. There is good reason why most people do not sleep with the lights on in their bedrooms. And if they work the night shift and sleep during the day, they often will close the window curtains, blinds or shades to darken their environment. Sounds are the second largest factor that keeps people awake. If you have noisy neighbours, pets or kids, for example, then it will be hard to get to sleep. Pretty much any loud or unusual sounds will cause your brain to become alert. Instead of focusing on sleep, your brain will focus on the noises. Many people mistakenly believe they can sleep better with the television on, but it’s not the case. However, this doesn’t mean you need to have complete silence when you sleep. Many people like to sleep with some form of white noise in the background. White noise is basically a consistently playing sound that maintains the same intensity level. Window fans and television static sounds are a couple of examples of white noise. It plays over all the other noises in the environment so that your brain can focus on just one constant sound. We live in the age of electronic devices. Most people in every developed country in the world now have smartphones or tablets. They look at these electronic devices constantly throughout the day and even at night. Some people are so addicted that they lose sleep over it. Instead of closing their eyes while lying in their bed, they are browsing through social media or even texting friends and family. If they ever do put their device down to get some sleep, they will awaken quickly to the sound of a new message or phone call. This cycle never ends. Indoor environments are loaded with allergens and other airborne substances that can keep you awake. You might develop symptoms like coughing, sneezing, itchy eyes or another allergic reaction. It’s difficult to sleep soundly when you constantly are wheezing and sniffling. The most common indoor allergens include mould spores, dust mites, pet dander and pollen. You can avoid these allergens by keeping your environment as clean as possible. 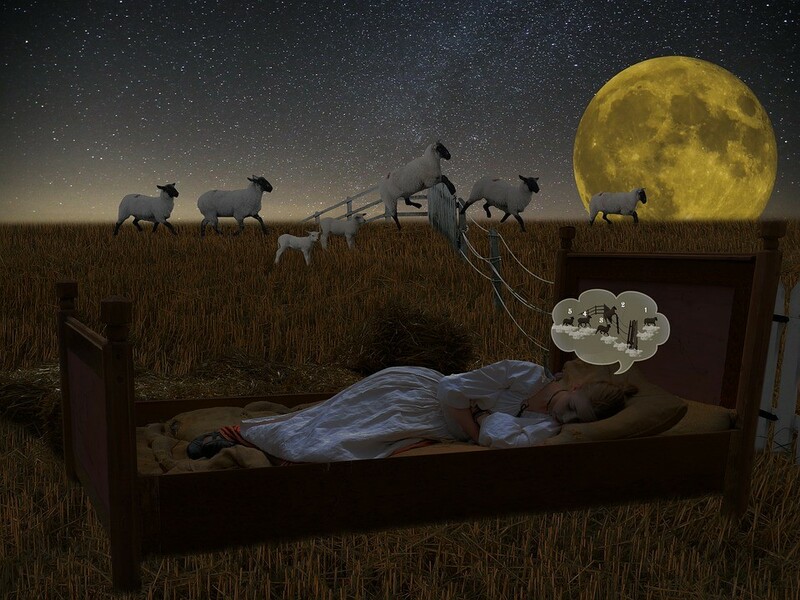 Eliminating as many as possible from your sleeping environment can help you sleep. The temperature of your bedroom is a big factor in how well you sleep. If it is too hot or too cold, you will be tossing and turning all night trying to get comfortable. And it’s hard to fall asleep when you are shivering or sweating all over your sheets. You need to maintain a pleasant room temperature of about 70 to 75 degrees for optimal sleep. If it is too cold, you can always cover yourself with comforters and bed sheets to stay warm. The hardest thing to deal with is hotter temperatures, especially when you don’t have air conditioning. The décor of your bedroom might be making it hard to sleep. Do not use bright colour schemes or bold patterns because they will be too stimulating for your brain and will make you want to stay awake. Instead, use more neutral colour tones that are softer and less stimulating. Finally, you need to be comfortable in your own bed to get a good night’s sleep. If you are sleeping on an uncomfortable mattress, scratchy sheets or an old pillow with little support, then you will never be able to maintain a comfortable sleeping position. If you think your bed or bedding is keeping you awake, consider purchasing a memory foam mattress or even a foam mattress topper, a new pillow or more comfortable bedding.